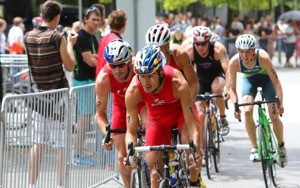 Swimming, cycling, and running in D�sseldorf � about 2,000 international athletes will compete against each other in these disciplines at the fifth D�sseldorf Triathlon, with 40,000 people watching along the race lines. The distances at this German Championship race conform to the USA Triathlon and International Triathlon Union�s standards and take athletes and visitors to this popular travel destination�s most beautiful sights on land and in water. The swimming portion happens in Media Harbor, an area known for its spectacular modern architecture and entertainment, and the race begins right in front of the famous Gehry buildings and ends with swimmers emerging from the water right in front of spectators at the Restaurant Lido. The cycling race is especially rich in breathtaking city and river views, as it takes athletes along the Rhine River and across the two bridges that connect both sides of the city. And the running takes place in the city�s historic Old Town, home to the �Longest Bar in the World� (260 bars and restaurants in under a square mile), along the beautiful Rhine River Promenade and the famous Parliament building. An audience of about 40,000 is expected at this year�s race. All three disciplines are offered in two distances for the participating individual and team athletes: the sprint distances (swimming 0.75 km, cycling: 19.5 km, running 5 km), and Olympic distances (swimming: 1.5 km, cycling 39.5 km, running 10 km), according to international standards such as the USA Triathlon and International Triathlon Union�s. 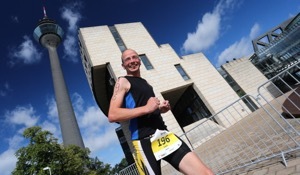 Several events complement the race: a 2-day Triathlon Fair with displays of triathlon gear and products on the lawn in front of the Parliament Building, as well as an entertainment program for all ages in the same location. A pasta party for the athletes on the night before the race, June 27, at the Media Harbor is a tradition that will continue this year. Registration for the race and all other programs is now open. 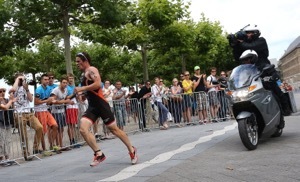 To register, and for more information on Triathlon D�sseldorf, please visit www.t3-duesseldorf.de. For more information on the destination D�sseldorf, please visit www.visitduesseldorf.de. D�sseldorf�s tourism office is offering hotel and city specials for stays in 2015. The package, called �D�sseldorf � la Card,� can be booked right from the tourism office�s website at https://www.duesseldorf-tourismus.de/en/accommodation/hotel-packages/duesseldorf-a-la-card/. Prices start at �49 per night per person based on double-occupancy for a 2-3-star hotel in the city center and at �95 per person for a 4-star hotel. The package includes breakfast, one D�sseldorfCard (free public transportation within city limits plus 30 free or reduced admissions to city attractions), and a city information package. Please check the website for current information. 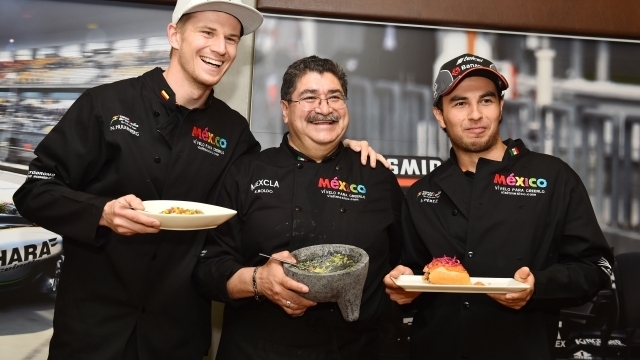 Ahead of this weekend�s Spanish Grand Prix, Sahara Force India drivers Sergio Perez and Nico Hulkenberg took inter-team rivalry to a new level as they put their culinary skills to the test during an old-school Mexican cook off. The event was created by the organisers of the Mexican Grand Prix to celebrate the return of F1 to Mexico City later this year (November 1st) following a 23-year hiatus.